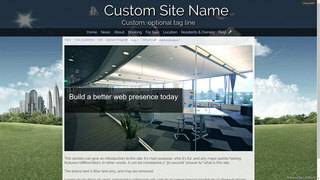 web pages - update your site in simple text and let LIVING automatically; stylize it, generate headings and tables of contents, and keep your content looking professional by automatically updating style as web designs change. photo galleries - upload site photos and display them as thumbnails, full-sized photos, floating picture galleries, sliding image galleries and more. All guaranteed to display correctly on any device. 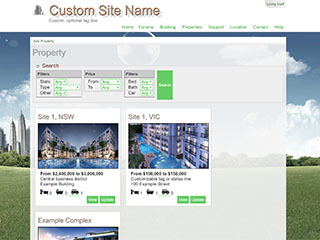 email addresses - provision your management committee or site office with their own email addresses using your own domain name, or create distribution email addresses instead (such as management@yoursite.com) that forwards to their own personal email addresses. 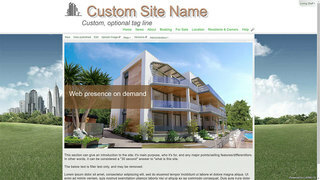 booking system - create and customize your own booking resources; function rooms, BBQ pits, kitchens. Define their capacity, extra features (whiteboards, fitted gas etc.) 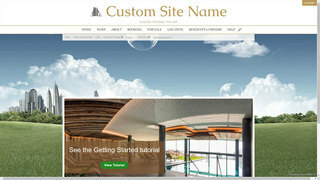 and have complete control when and how often users or groups can book them. 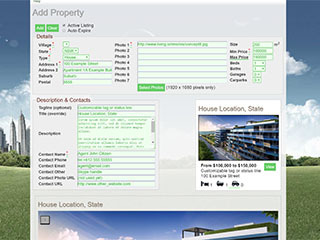 unit and property listings - allow owners and/or staff to list properties for sale, or list units from many buildings/sites in one place. All consistently formatted to appear professional on any device. service requests - allow users to open online service tickets using categories you define. Track requests through to closure. Monitor your staffs feedback and get real insights into user satisfaction. document libraries - upload floor plans, electrical diagrams, site plans, committee minutes, annual general meeting minutes in a single location. Layout your files as links in pages for easy access by users. community forums - allow any combination of users and groups to post, reply and interact with each other in a managed environment that you can moderate. polls/surveys - supporting both first-past-the-post and preferential voting systems to identify consensus within communities of users. 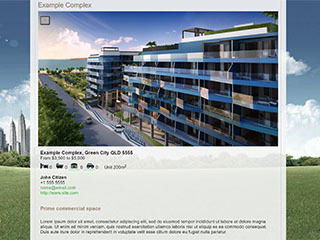 Templates for private condominiums and holiday parks, with new templates being developed.